Santa is heading back to the North Pole, and you know what that means: Christmas is coming! 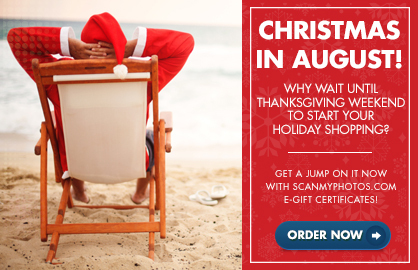 Stock up on ScanMyPhotos.com e-gift certificates before the holiday rush begins. You already know how wonderful it is to be able to preserve and share your photos. Take advantage of the convenience and ease of buying and sending e-gift certificates while sticking within your budget. When you’re ready to send your gifts, the recipients will receive an email with a personal message from you, along with the gift code that they can redeem at any time. 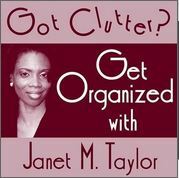 Got Clutter? Get organized! Listen in as ScanMyPhoto CEO Mitch Goldstone talks with Life Strategist, Janet M. Taylor about organizing and properly storing family photos. This entry was posted in Holidays, Photography Tips, ScanMyPhotos News, Uncategorized by ScanMyPhotos.com. Bookmark the permalink.